Discussion in 'Console Gaming' started by Geoff, Apr 24, 2014. I am so excited. I am going to buy all of this! At least 16 courses we know of! Holy crap! :o The content of the game just expanded by 50%! More remastered retro courses. Oh my gawd. Yaaaaay! I am going to buy all of this. We all must play these online! I'm normally opposed to DLC but holy crap this is a good value. I'll definitely be preordering the bundle to get the Yoshi and Shy Guy skins. I guess the second one will be released in May to celebrate the 1 year anniversary of the game. ...soon o.o I cannot wait. I just got 3 Stars on Mirror Mode for the Egg Cup and Triforce Cup and I beat the new staff ghosts, so it's back to just playing online with this game. I think all the new tracks are great except for Ice Ice Outpost. I think it's the worst ice/snow track in the Mario Kart series. MUTE CITY MAKES ME SO HAPPY! Ditto to all of this. I'm a bit more accustomed to Ice Ice Outpost now, but easil the worst track in the whole game. I don't get the hate for Ice Ice Outpost. It's not the best track but it's pretty fun. SNES Rainbow Road is by far my least favorite DLC track, especially since we just got it in MK7. But the music for SNES Rainbow Road is sooo good! Whereas with Ice Ice Outpost, I can never remember the music for that track. Just goes to show how (not) memorable MK7 is. I replayed it earlier this year and I still didn't remember that it featured Rainbow Road lol I just looked up the video. 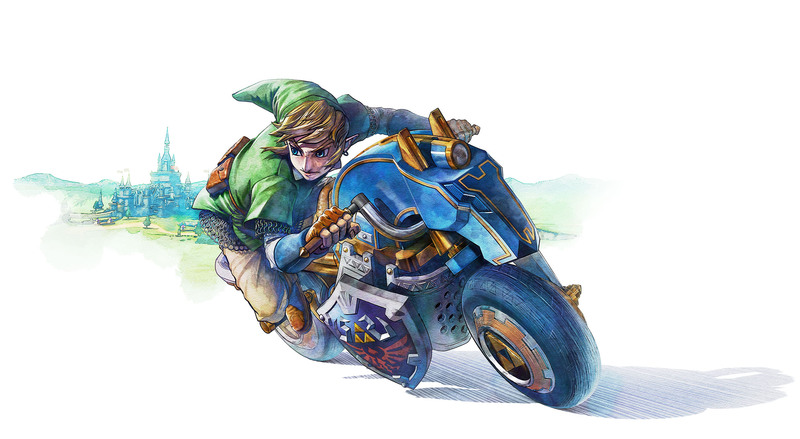 MK8 took that ripple road effect and everything. It's more based off the 3DS version than the SNES one and still I didn't clue in. Ice Ice Outpost is just boring. Everything about it.